I thought that I had put this recipe on about a year ago but had only put a very lame picture up instead. Here is the real deal. I’ve adapted this recipe from “Chevy’s Fresh Mex Cookbook” to make it a bit more realistic for me to make at home. Thank goodness for “Cook the Story” for reminding me about this fab meal. We never tire of it. NOW, there is an alternative that I’ve also done. In a bind for an appetizer; buy beer battered fish and cut it into chunks, buy the chipotle dressing and the tortillas and put everything on a really pretty platter. Delicious and it can be done with ingredients that you pick up on the way to a party. 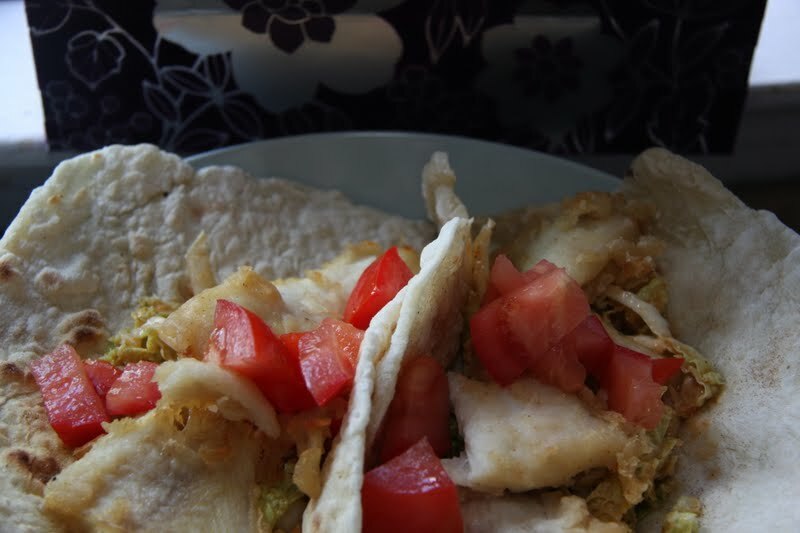 (tortilla 1 and tortillas 2 ) so here is the totally amazing coleslaw dressing and the fish itself. 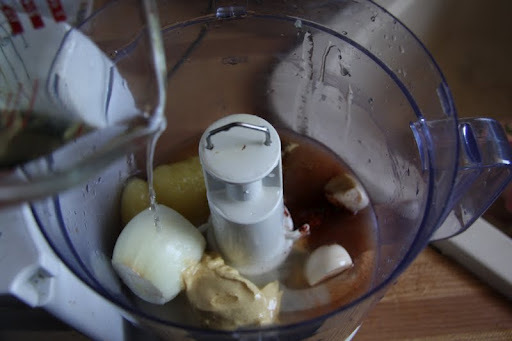 In a blender or food processor whiz together: 1/2 small onion, 1 garlic clove, 2 T. dijon mustard, 1 tsp. 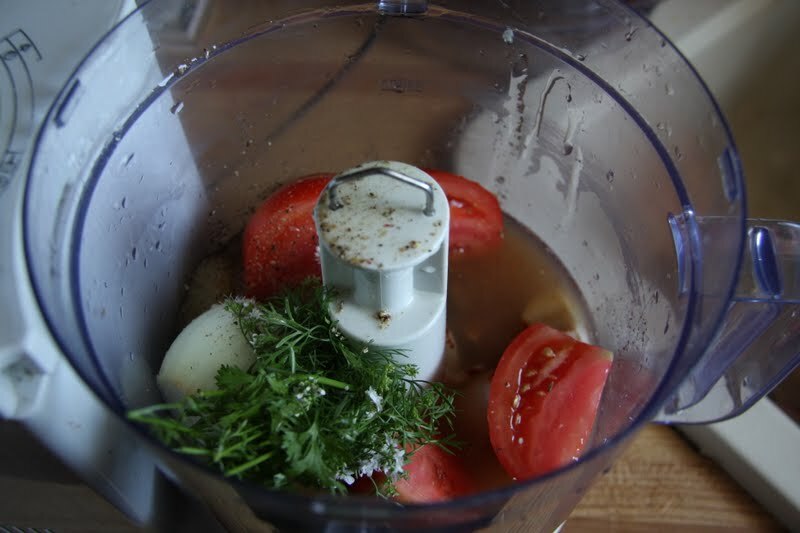 cumin, 3 T. cilantro, 1 medium tomato, 2/3 cup rice wine vinegar, 1 tsp. 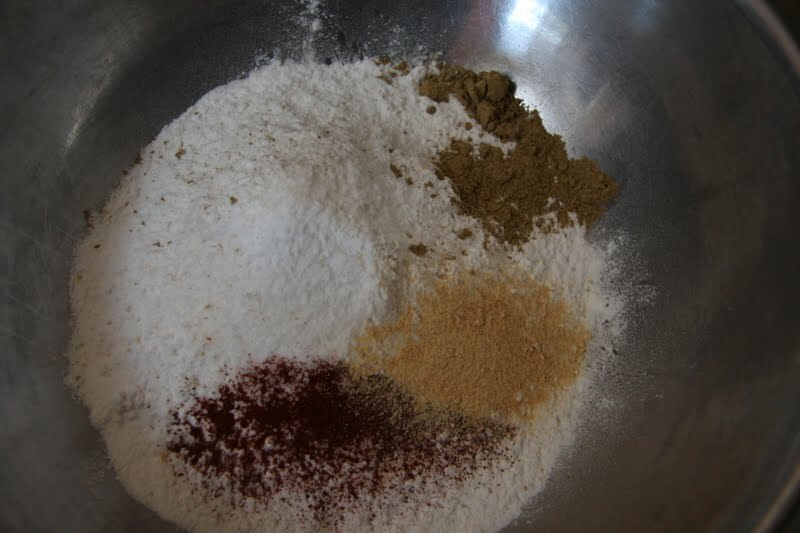 salt, 2 T. honey and 1 T. chipotle pepper. 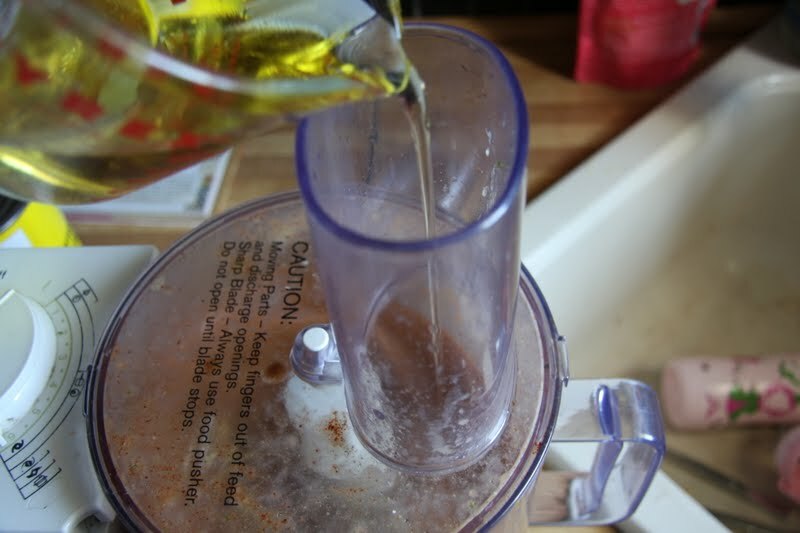 Drizzle in 1/2 cup olive oil. This is the most amazing dressing and I love it as a marinade for chicken or just on a plain salad. 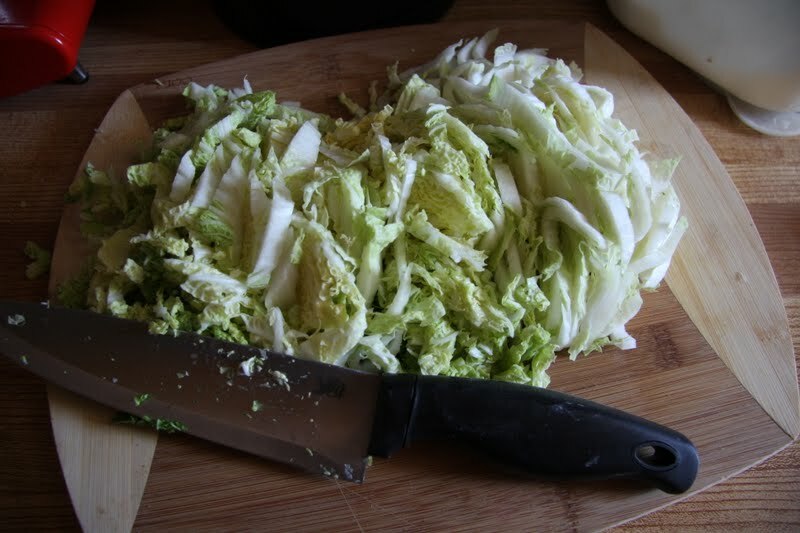 Chop your cabbage or even easier-get a bag already cut. The farmer’s market had gorgeous savoy so that’s what we’ve got. 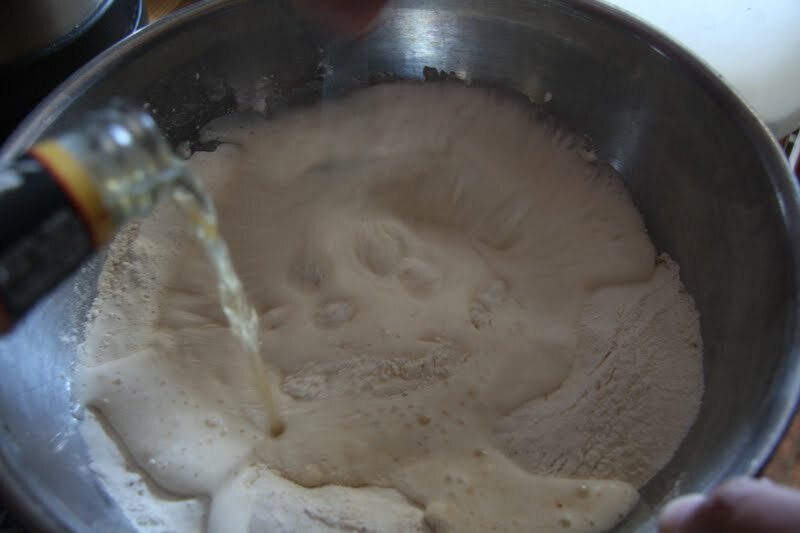 For the beer batter: 3/4 cup flour, 1 T. chipotle, 1 tsp. cumin and 1 tsp. 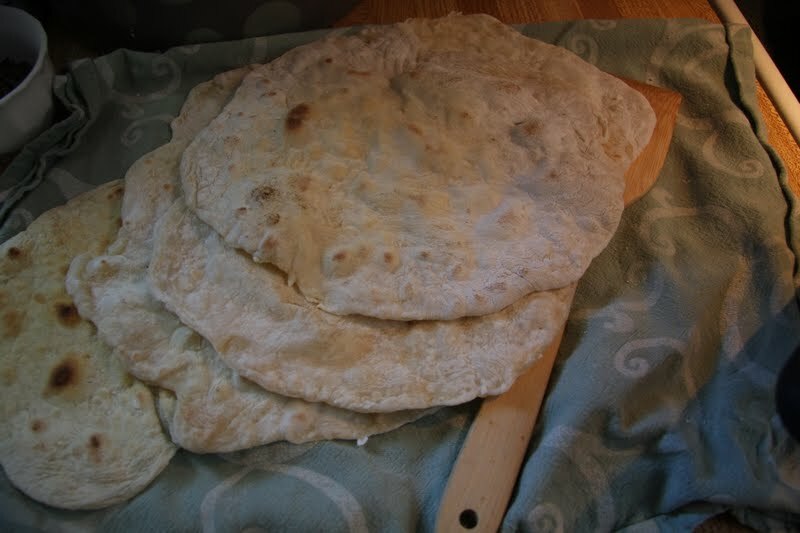 garlic powder, 2 cups of rice flour. Mix and add in 2 bottles of beer. 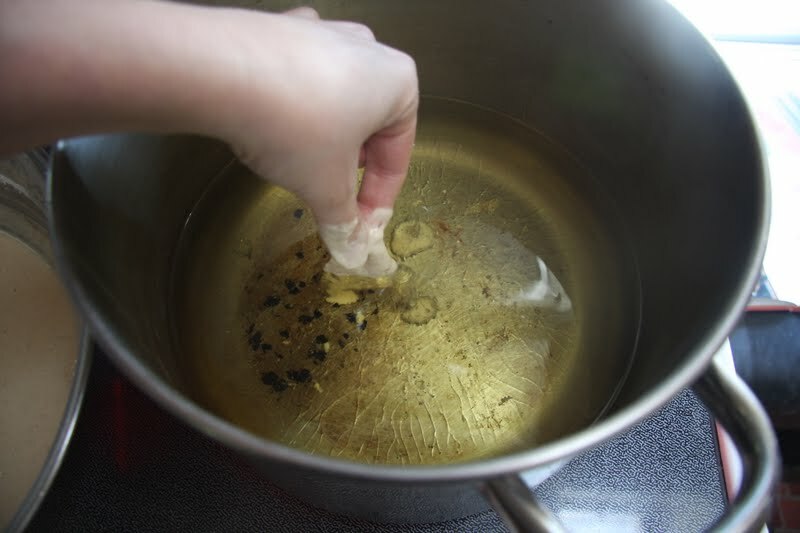 Heat canola oil. Dip fish (I’m using wild sole) and deep fry until just golden. Remember to dip the fish in away from you just in case there is a spit-up. 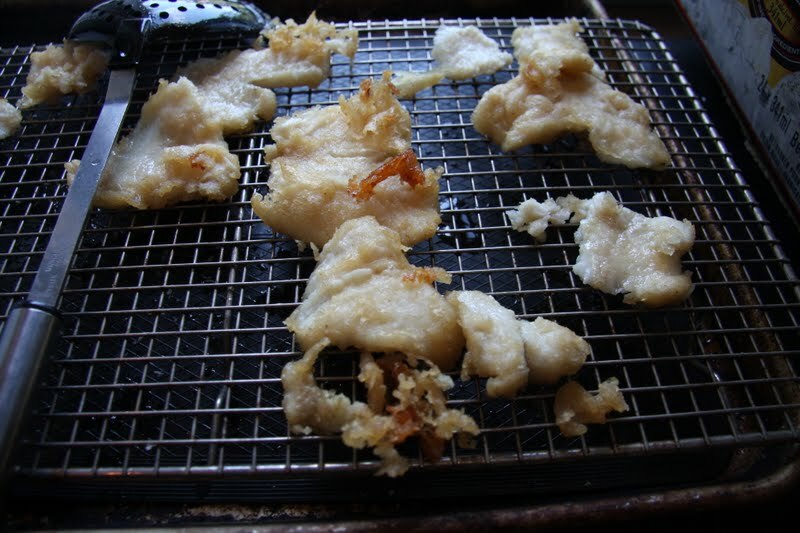 I actually hate the mess of deep frying so I make a really big batch of this and freeze the pieces.